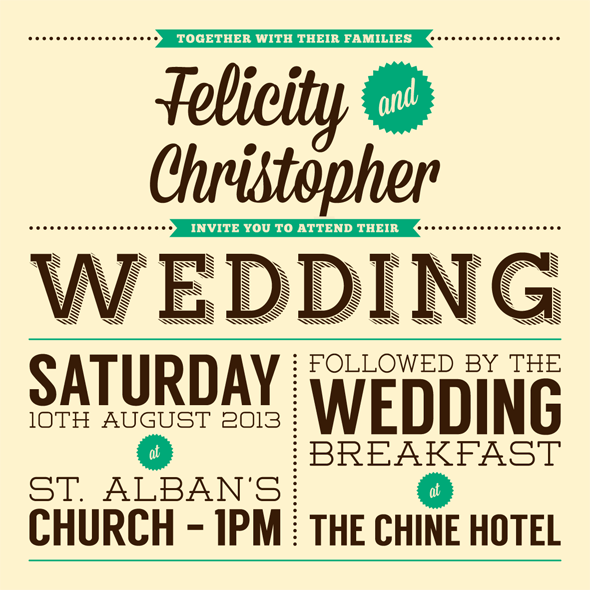 Designed wedding invitations and an order of service with a retro 50’s style. The invitations were made up of two 10 x 10cm cards, the first had 2 variations: (1) for all day guests; (2) for ceremony & evening guests; the second card had contact information and addresses for the venues (hence not showing it here). It also contained a smaller card with a short poem on it. 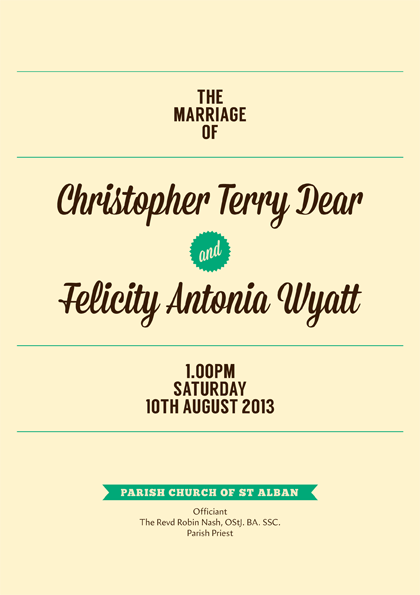 The Order of service (cover shown below) was an 4-page a5 booklet designed to be printed on a home printer.